Share your love for BC craft beer and wine while tipping your glass to local charities. With tickets for the 24th annual Okanagan Fest of Ale about to go on sale December 1st, it’s a great time to take a closer look at the festival’s charitable activities and also explore what’s new and coming up in the vibrant city of Penticton. Between the beaches, vineyards, vistas, and craft breweries, this small city is definitely one of BC’s best kept secrets. 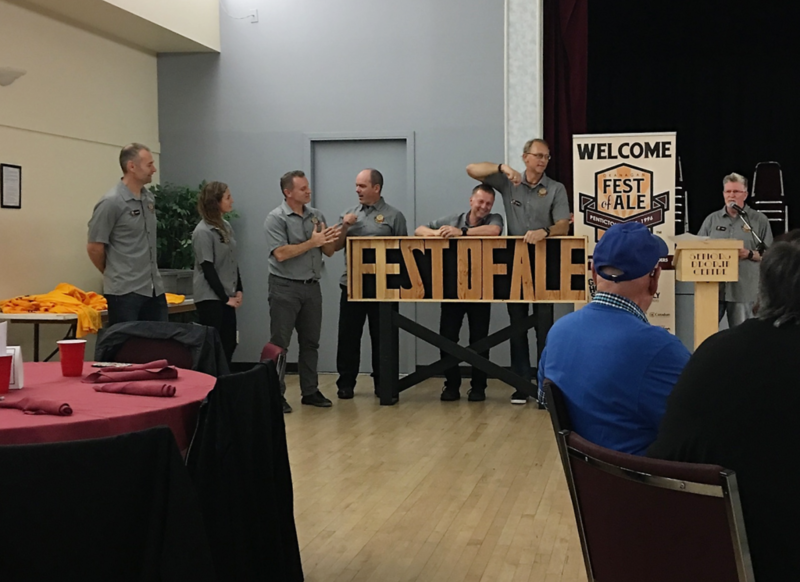 I recently joined the Okanagan Fest of Ale Society (OFOAS) Board, event volunteers, sponsors, supporters and charitable recipients to celebrate the success of the 23rd Annual. At the combined charitable grant presentation and volunteer appreciation evening, it was heartwarming to see $60,000 distributed between 20 worthy local charitable organizations. OFOAS President John Cruickshank said, “One of the largest disbursements to charity we’ve had the pleasure of distributing, it brings the total donations made by the Society to $697,660.” He acknowledged vendors, sponsors, supporters, volunteers, entertainers, judges, media and attendees for their role in the accomplishment. For recipients’ list plus tickets and details on the 24th Annual, visit their website. 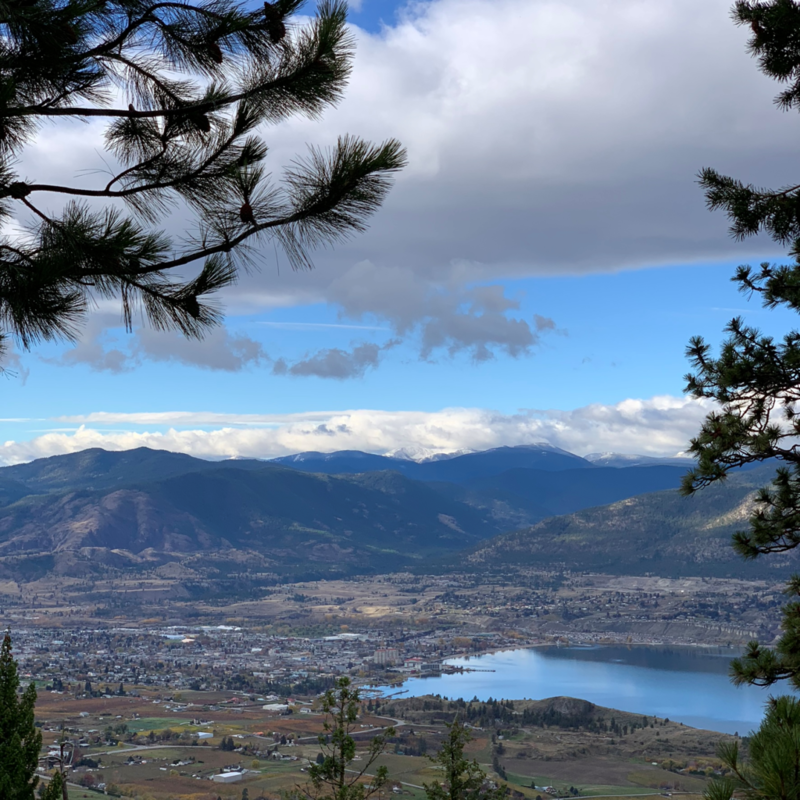 Recently named by Expedia travel site, as Canada’s second-best “beer town” after Vancouver, BC, Penticton presents numerous reasons to hit the Penticton Ale Trail beyond the wildly entertaining Fest of Ale. 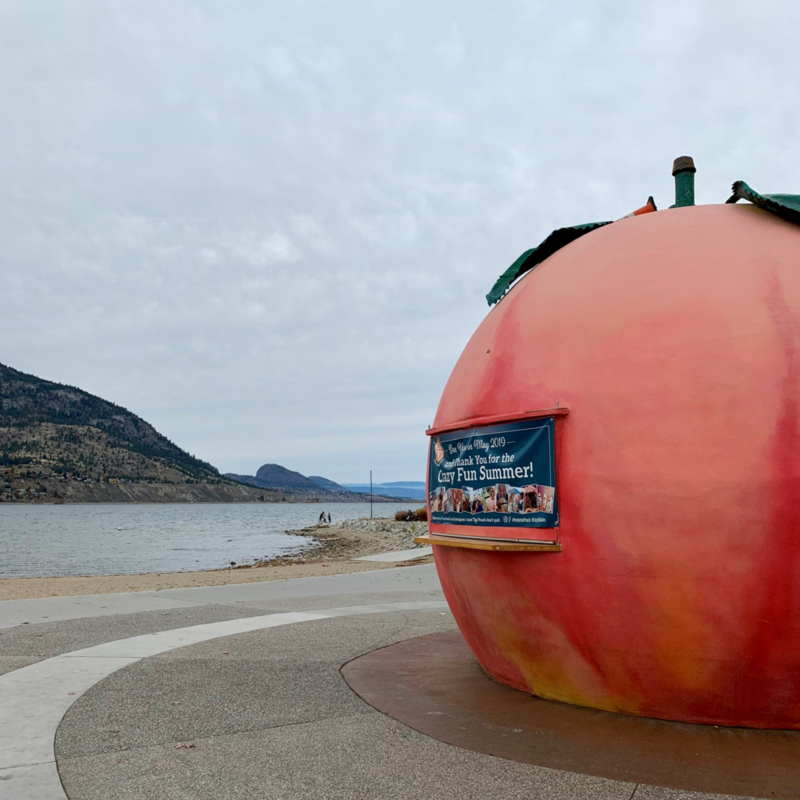 Kick off your self-guided pub crawl at Penticton’s iconic peach on Lakeshore Drive by strolling up Winnipeg Street to Bad Tattoo Brewing. 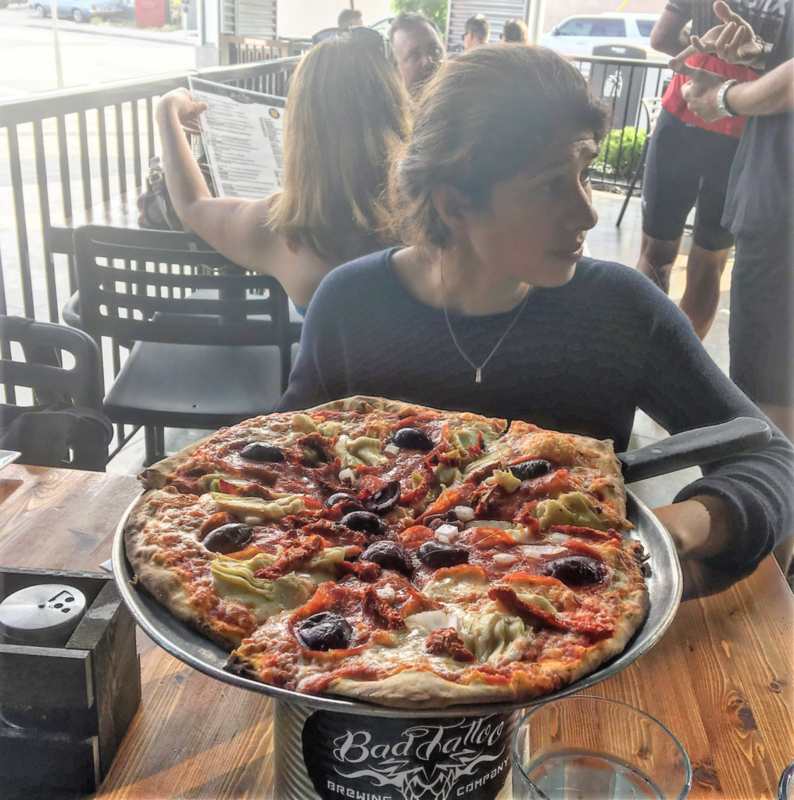 If you’re hungry, try delicious wood-fired pizza such as my favourite, Calabrese paired with a Los Muertas Cerveza Negra. 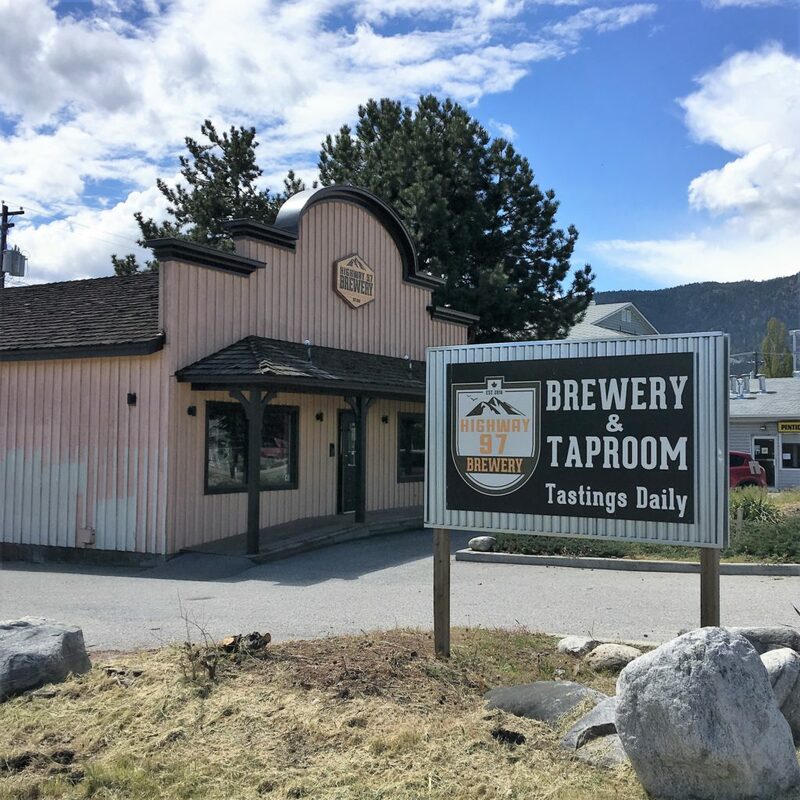 Established Penticton Ale Trail breweries Tin Whistle Brewing, Cannery Brewing, Bad Tattoo Brewing, Barley Mill Brew Pub & Bistro, and Highway 97 Brewery welcome two newcomers in Spring 2019 – Hatchery Brewing and Neighbourhood Brewing Company. Across Westminster Avenue and a block down at 218 Martin Street, Hatchery Brewing is set to open in the former space of The Mule nightclub. Co-Founder/General Manager Liam Peyton, formerly of Whistler Brewing, says his wife and business partner, Kelsey was born in Penticton and they ultimately wanted to settle here. They invited Chris Vandenberg, brewmaster, formerly of Powell Brewery, to see if he’d like to brew here and he immediately felt at home. 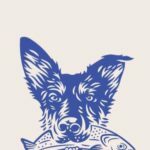 With this team’s depth, expect to see some incredible beer “stamped by the local environment in terms of both the natural bounty of the land and through fermentation processes”. Peyton and Vandenberg are excited to work with the local community and become active members. 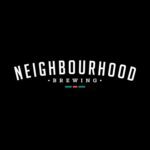 “We’re looking to contribute and hope our space becomes more than just a place to have a beer, rather a place to breed new ideas and friendships – a hatchery for the community”. South on Martin, Tug’s Tap House Pub & Eatery has pub-style food. For alternate libations, next door is Old Order Distilling Co, or a few blocks further Penticton’s urban winery, Time Winery & Kitchen. Alongside its award-winning wine, there’s a notable menu and craft beer. On Main Street, two delightful casual restaurants proffer an array of craft beer – Brodo Kitchen and Craft Corner Kitchen. 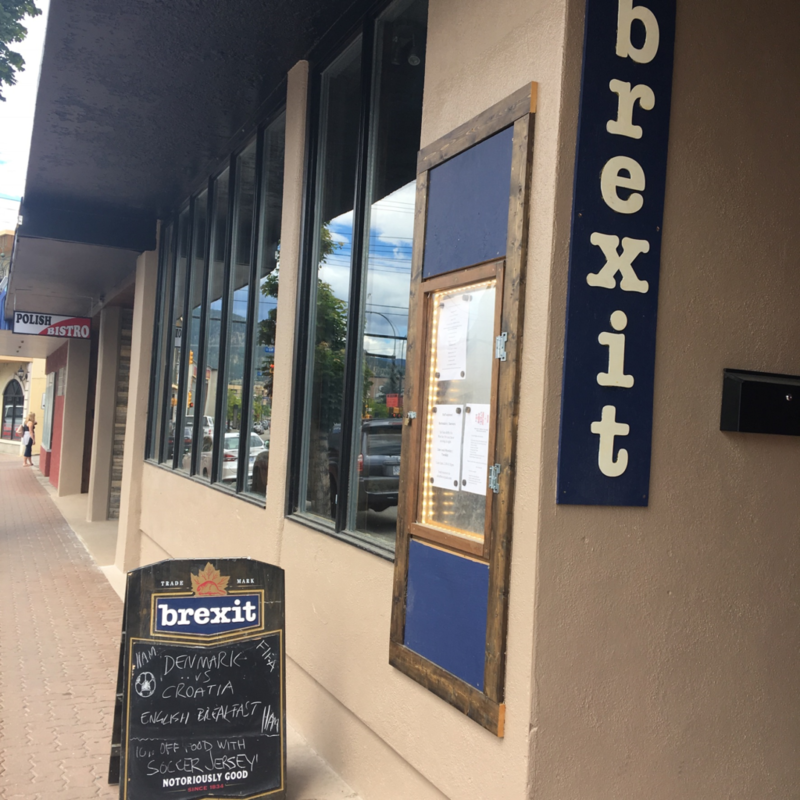 Off Main on Nanaimo Avenue, there are two establishments of interest – Brexit Pub with a decidedly British flair and the Polish Bistro with some European beers. The trail leads to Ellis Street, home of the iconic Cannery Brewing, its remarkable craft beer and fine snacks to accompany them. Change things up across the street at Mile Zero Wine Bar for delectable local wine selections, cocktails, and of course, craft beer. 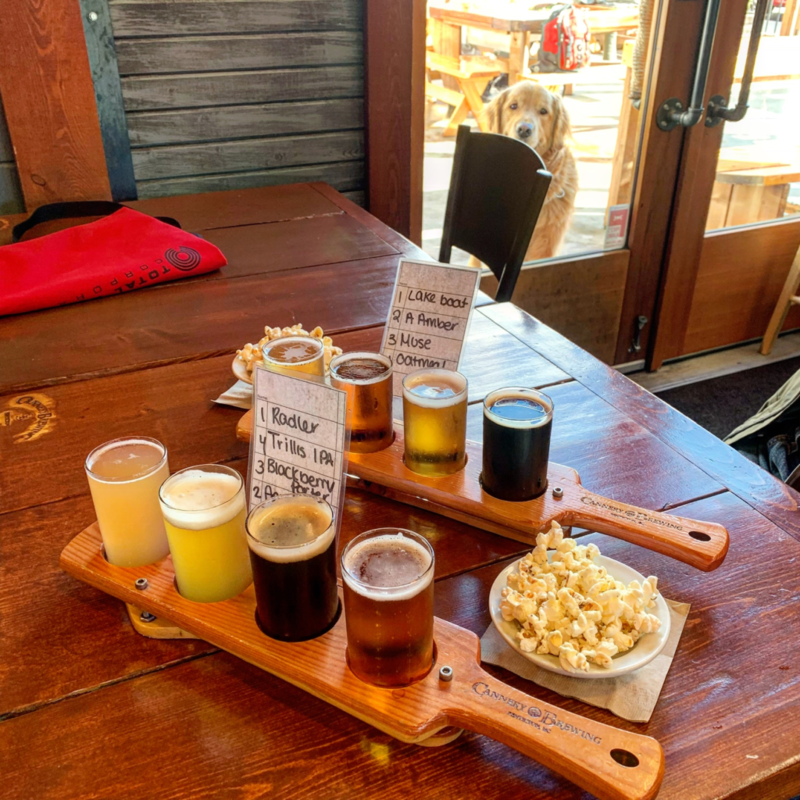 Even our four-legged best friends are keen to visit Cannery Brewing — even if it’s deck-only for them. Headed back to the peach, there’s craft beer in a Parisienne bistro atmosphere at the Front Street Brassiere or if you’re passionate about live music, across Front Street find The Dream Café. 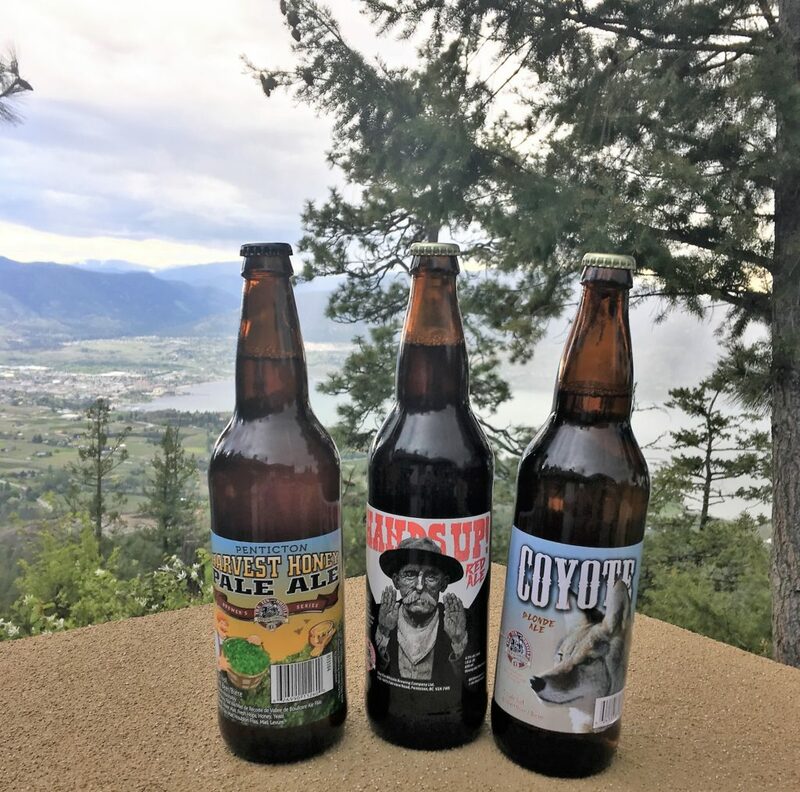 To explore the Penticton Ale Trail downtown, consider staying at the Penticton Lakeside Resort featuring restaurants with Okanagan Lake views, and you’ve got it – craft beer. The Hooded Merganser is upscale casual while the Barking Parrot is laidback with a wallet-friendly $5.95 menu. 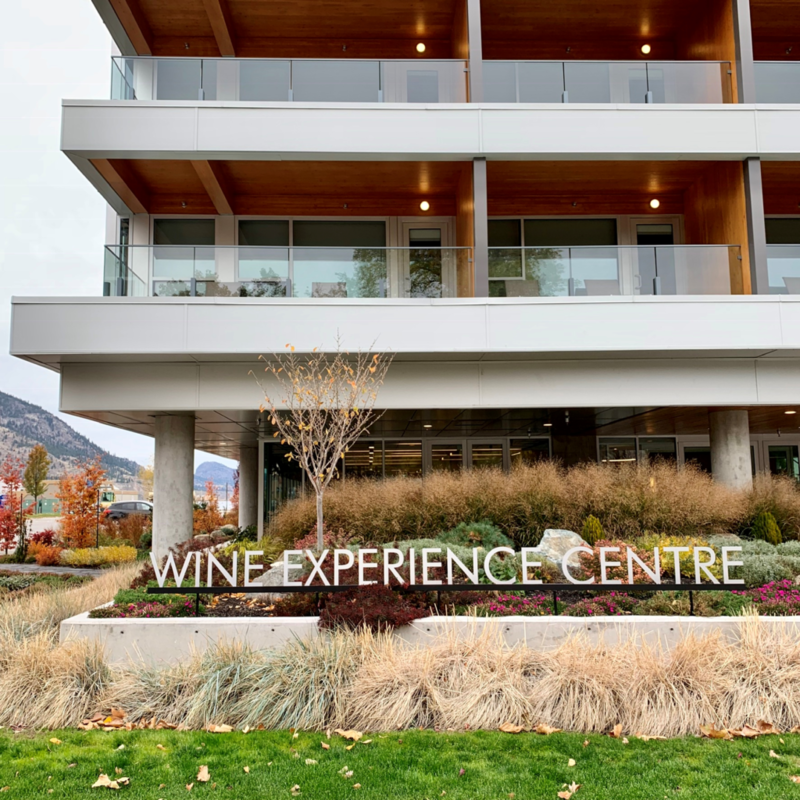 On-site, visit the Great Estates of the Okanagan Wine Experience Centre that showcases wines from Black Sage Vineyard, Inniskillin, Nk’Mip Cellars, Jackson-Triggs, Sunrock Vineyards, Dark Horse, Steller’s Jay, See Ya Later Ranch and Sumac Ridge. For Okanagan Fest of Ale, staged in the Penticton Trade and Convention Centre, consider the Coast Penticton Hotel or Ramada Penticton. Ramada has the Kettle Valley Station Pub, where the Murderers Row Cask Event has become a Saturday-night tradition of the festival. Within an easy walk, also shop the Penticton Wine Information Centre. It offers the most comprehensive selection of VQA wines and an expert staff to guide you through the choices. There, you’ll find an impressive array of wine-related accessories and books, culinary supplies and cookbooks. Little wonder modern couples select it for wedding registry! To check out Penticton’s other urban breweries, near the Ramada is Highway 97 Brewery. If you’re feeling energetic, it’s about a 35-minute walk to Tin Whistle Brewing, the South Okanagan’s first microbrewery. In that complex, find Nest and Nectar for a tasty meal. Taxi cabs are an option and to visit the Barley Mill Brew Pub & Bistro about an hour’s walk on Skaha Lake Road they’re a likely alternative. ‘Brewski’ Craft Beer, Cider & Spirits Festival: Skiing or snowshoeing anyone? On February 16, 2019, more than 20 purveyors come together under the roof of Apex Mountain Resort’s Gunbarrel Saloon Restaurant to dispense beverage samples and complimentary bites with an after-party featuring live entertainment. 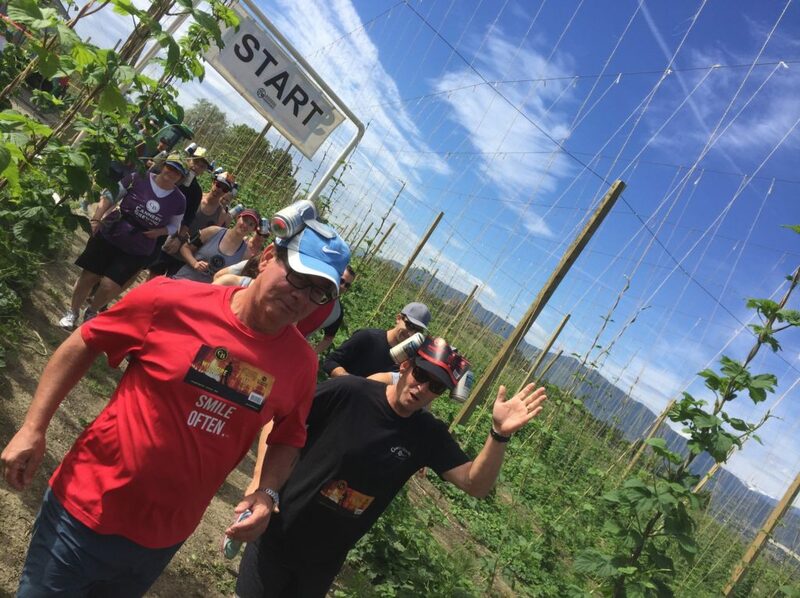 Penticton Beer Run: Organized by HooDoo Adventures Company and set for June 8, 2019, it’s a 10-km fun route starting at a genuine hops farm, Square One Hops. Run or walk the stunning KVR Trail and lakeshore into Penticton where beer tastings and food stations await. All net proceeds will be donated to Youth Outdoor Recreation Society ( YORS ) helping deliver affordable and subsidized outdoor education and leadership courses to Okanagans youth. Open for registration now. Plan your trip to Penticton, let BC Ale Trail be your guide.